Chris Kershner is the Executive Vice President for the Dayton Area Chamber of Commerce, where he serves as the chief lobbyist for the chamber on public policy and government affairs, business and economic development initiatives, and business and workforce programs for the region’s business community. As a leader in business advocacy, Chris championed the creation of the “Dayton Regional Employers Against Marijuana” (DREAM) coalition, which aided in the defeat of the 2015 marijuana monopoly state ballot issue. In 2017, Chris managed the “Brunch Bill” campaign, a successful local ballot issue that extended alcohol hours for local restaurants serving brunch. Additionally, Chris continues to direct the chamber’s involvement in Ramp-Up, the chamber’s transportation advocacy initiative that has realized more than $1.02 billion in transportation investments. Evolving with the business community, Chris directed the chamber’s creation of nationally recognized programs, Generation Dayton, the Dayton Area Logistics Association and Empower, a first of its kind leadership program for women navigating the pathways to executive corporate leadership. Chris was appointed by Ohio Governor John Kasich to serve on the Ohio Department of Transportation’s, Transportation Review & Advisory Council (TRAC). Chris serves in Washington D.C. on The Washington Center Alumni Advisory Board and the U.S. Chamber of Commerce’s Transportation, Infrastructure and Logistics Committee. Locally, Chris volunteers as the Vice President of the Dayton Regional STEM School Board of Trustees and as a member of the 4C for Children Advisory Board. Chris earned his BA in Political Science from Wright State University and his Masters of Public Administration from Walden University. 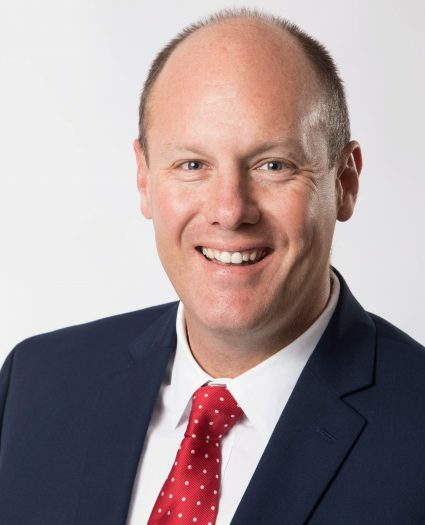 Additionally, Chris is a graduate of the U.S. Chamber of Commerce’s Institute for Organizational Management (IOM), a Certified Association Executive (CAE) through the American Society of Association Executives and a graduate of Leadership Dayton. Chris previously served on staff for the Ohio Speaker of the House and the United States Senate. Chris resides in Springboro with his wife Lori, and daughters Morgan and Tatum.